The European Commission this week released its list of planned Commission initiatives, and within it are provisions which are of special note to the International Fund for Animal Welfare (IFAW), and will be the focus of our work in the EU over the coming year. The Commission will prepare an Action Plan Against Wildlife Trafficking, validating the hard work done by IFAW to get the proposal on the Commission and Member States’ radar. Whilst recognising the main responsibility for addressing such crimes lies with the Member States, without coordinated action between Member States and other international actors, the criminals will always have the upper hand. 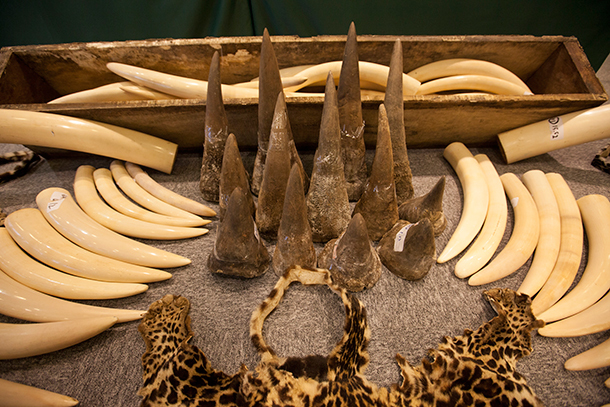 We believe only an Action Plan of the type that exists for other serious crimes such as human trafficking, drug trafficking, and terrorism can allow Europe to play a vital role in global efforts to tackle wildlife crime adequately, without impacting Member State sovereignty or requiring Treaty change. In light of the new scale and dimension of this major transnational criminal activity with serious implications for sustainable development, biodiversity and the rule of law, we are pleased that this initiative seeks to enhance EU action—both within the EU and at a global level. It aims at reinforcing and providing a strategic framework for a range of ongoing activities in different areas (implementation of existing rules, diplomatic efforts, fight against organised wildlife crime, development support) and at ensuring high-level political commitment to address a pressing global problem. Any Action Plan that aims to protect animals, species, and their habitats must go beyond just wildlife crime, giving equal attention to all aspects and causes of Africa's wildlife decline, from habitat destruction to human conflict and livelihood issues. This is what IFAW has called for over the last few years, and we are encouraged that the Commission is giving serious consideration to this. The Commission list also contains action on invasive alien species. Regulation 1143/2014 establishes the framework for the prevention and management of the introduction and spread of invasive alien species (IAS). IAS represent one of the main threats to biodiversity and related ecosystem services. More than 12,000 alien species have been identified in Europe with at least 1,500 considered invasive. By January 2016, a list of IAS of Union concern will be adopted banning the import, trade, sale, breeding, keeping, release into the wild and transport of the species within the EU. an assessment of the potential costs of environmental, social and economic damage, so as to further justify action. A two-year transition period will apply for commercial stocks and pet owners may keep animals so long they are unable to reproduce or escape. The obligations to address IAS must take into account animal welfare, including consideration of non-lethal control methods, and potential impacts on non-target species and the environment. These are important dossiers, which must be given the utmost importance by all concerned. IFAW will therefore continue to hold the European Commission and, in particular, Member States – who are the main actors on these issues – to task over the coming year.